An ingrown toenail can be extremely painful. What may start out with a little tenderness can become more painful. If ignored, an ingrown toenail can become dangerously infected. By understanding the causes and treatment, you can learn what to watch out for to prevent ingrown toenails. 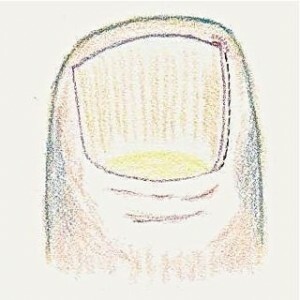 The toenail grows out from the matrix, or root of the nail. The shape of the toenail matrix determines the shape if the nail plate itself. Sometimes nails are very curved, or they might be very flat and wide. Both of these toenails shaped can increase a person’s risk of developing an ingrown toenail. When the corner of the nail plate irritates the skin, it can become ingrown. Often there is something other than the shape or the nail that leads to an ingrown toenail. Often times it is activity related. Sports that require a lot of sudden stopping and turning (soccer, basketball, tennis, racquetball, etc.) can cause irritation of the nail folds. Each time the athlete stops, the toe can bump or rub the inside of the shoe. Other sports that require tight footwear (rock climbing, cycling, bowling) can also irritate the end of the toe. If the nail fold becomes irritated, it can swell and the skin can get punctured by a rough edge on the nail plate. This is one way an ingrown toenail gets started. Improper toenail trimming is the most common cause of ingrown toenails. Cutting the corning of the toenail at a slanted angle can backfire. 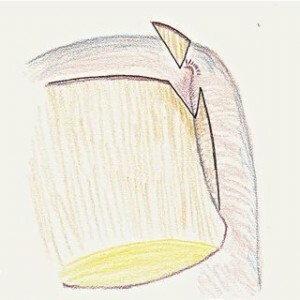 It can be very difficult to see all the way down into the deep recesses of the nail groove. If any rough edge or sharp point (called a spicule) is left behind, the nail can become ingrown. With that sharp little point up against the skin, a stubbed toe can cause the skin to be pierced and start the ingrown toenail. The skin becomes more inflamed and swells, and grows around the nail plate. A fungal infection of the skin can make the skin too moist and more prone to the injury that starts an ingrown toenail. 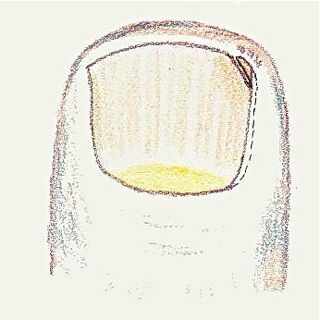 A fungal infection in the nail plate itself (known as a toenail fungus) causes the nail to become yellow, brittle and thick. The thicker nail places more pressure on the skin at the sides of the nail and can create an ingrown toenail. Diabetes can cause numnbess in the foot and toes (called diabetic peripheral neuropathy) that prevents one from feeling the early discomfort that would usually be felt when the skin of the nail fold first becomes irritated. For this reason, many diabetic patients have ingrown toenails that become dangerously infected. Ingrown toenails in a diabetic patient can me a medical emergency. Don’t ever ignore it. Seek treatment immediately. These images help you understand how an ingrown nail begins. Ingrown toenail beginning to get corner of the nail stuck in the skin by san francisco toenail surgeon. Ingrown toenail first begins at the corner of the nail gets stuck in the skin. Attempt to cut the corner of the ingrown toenail out as illustrated by San Francisco toenail surgeon. You try to cut the corner out, but you cannot get all the way down under the nail fold indicated by the dotted line. Nail spicule left behind down in the nail fold which will make the ingrown nail worse eventually. You pull the corner out but leave a sharp spicule hidden under the skin that will eventually poke right into the skin. After the spicule punctures the skin it becomes inflamed as it swells and grows over the corner of the ingrown toenail. Eventually that pointy spicule grows outward and pierces the skin. The inflamed skin swells and grows over the corner of the toenail. Ingrown nails may cause pain at the end of the toe or all along the edge of the toenail. Pain is often worse in shoes or with tight socks or hosiery. The edge of the nail plate that is caught in the skin can lead to an infection or inflammation. In its earliest stages, the side of the toenail may just be a little tender when pressed against the nail. As it becomes more ingrown, it may become red, swollen, and warm to the touch. As the skin breaks down, clear drainage and a yellowish crust may form into a scab in the nail groove or at the corner of the toenail. Infected ingrown toenail that will heal quickly after treatment with antibiotics and removal of the ingrown piece of nail by San Francisco’s House Call Podiatrist. If the skin breaks down or becomes punctured by the nail plate, an infection can set in. The nail grooves are very dirty places, harboring millions of bacteria. When the skin gets poked by the ingrown nail, the bacteria can start to invade the tissue causing the infection. If this happens, pus may drain along the nail plate. It often has a foul odor. An infected ingrown toenail needs treatment right away. Because so many different factors continue to ingrown toenails, it isn’t really possible to prevent them completely. However, these tips can reduce your chances of getting and ingrown toenail. If the nail is normal in shape, cut the nails straight across and leave the edges smooth. Try not to cut them too short. If the nails are turning yellow and getting thicker, seek treatment to make sure you don’t have a fungal infection. If you get pedicures, make sure you use a nail salon that sterilizes their instruments in an autoclave after EVERY use. The goal of any initial treatment is to relieve the pain, and clear the infection or inflammation. If the toe isn’t infected, your foot doctor may be able to carefully trim the ingrown nail edge and fix the problem. An infected ingrown nail most often needs to have a portion of the nail removed. In severe cases, the entire nail may need to be removed. 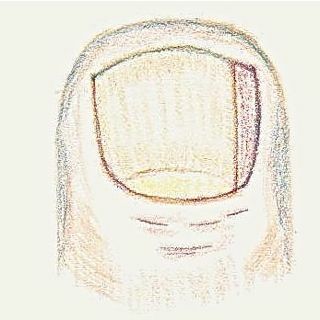 The portion of the nail that is removed will grow back. Local anesthetic can be used to numb the toe an lessen the pain. A bandage is usually placed on the toe by the podiatrist after treatment. Activities can usually be resumed the following day. The best news about ingrown toenail treatment is that the relief is usually immediate. 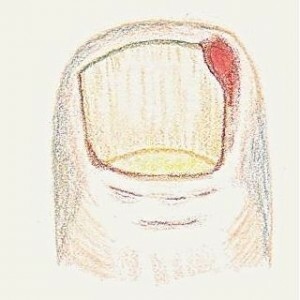 Most patients feel much better immediately after the painful portion of nail is removed. It also heals very quickly. When antibiotics are required, it s important to finish the entire prescription provided by your podiatrist. Toenail after the ingrown border of the toenail has been removed by San Francisco toenail surgeon. Depending on the severity of the ingrown toenail, antibiotics may be prescribed. Cultures or other lab tests might also be ordered. In early cases it may be possible to carefully remove the ingrown portion of the toenail without causing any additional discomfort at all. In some cases, local anesthetic might be needed to make the painful area numb. The ingrown portion of the nail can then be removed without any trouble. Most patients get significant immediate relief right away with this treatment. Pain medicine is almost never necessary, because the toe feels better. You will be given instructions for care after your ingrown toenail is removed. The podiatrist will usually see you about a week later to make sure the ingrown toenail is completely healed. An ingrown toenail may be a small problem when it starts, but they can be incredibly painful. In some cases the infection can quickly spread and lead to amputations or other serious problems. Because they can be so painful, we offer 24/7 on-call availability of our foot doctor to treat this problem. We will even do housecalls, so you don’t have to try to wander around town with a throbbing toe. Housecall Podiatry appointments are available in San Francisco and the Greater Bay Area including Marin County, the East Bay and the peninsula. Dr. Segler is a podiatrist and toenail surgeon who practices podiatry house calls in the San Francisco Bay Area. We offer podiatry housecalls 24/7 for ingrown toenails. There is simply no need to wait for an appointment if you have a painful or infected ingrown nail. Dr. Segler can be at your home and can treat your ingrown toenail so that you can have pain relief about 1 hour from now!